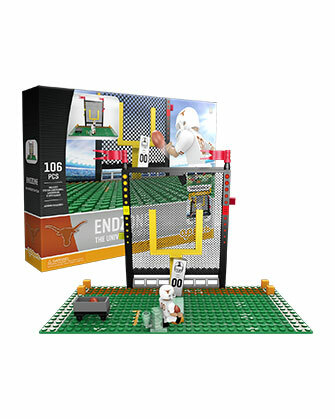 Celebrate the Texas Longhorns at game time. Shout from the bleachers and stand out from the crowd to cheer for the biggest game of the year. 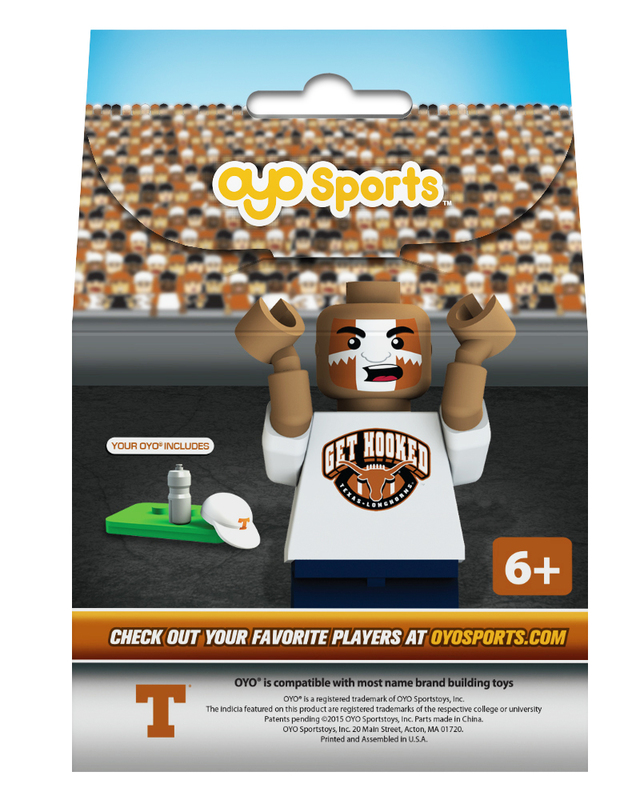 Create your home team or fantasy team with all your favorite college players and fans. Your minifigure features an exclusive Texas Longhorns shirt! Accessories: Texas Longhorns hat, water bottle, and stand! 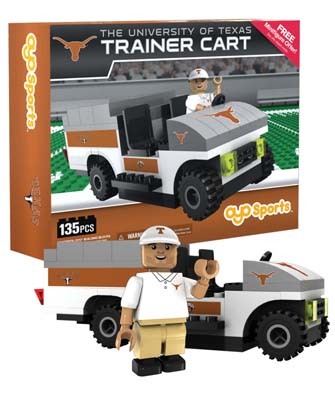 Collect all the Texas Longhorns minifigures and hit the field! 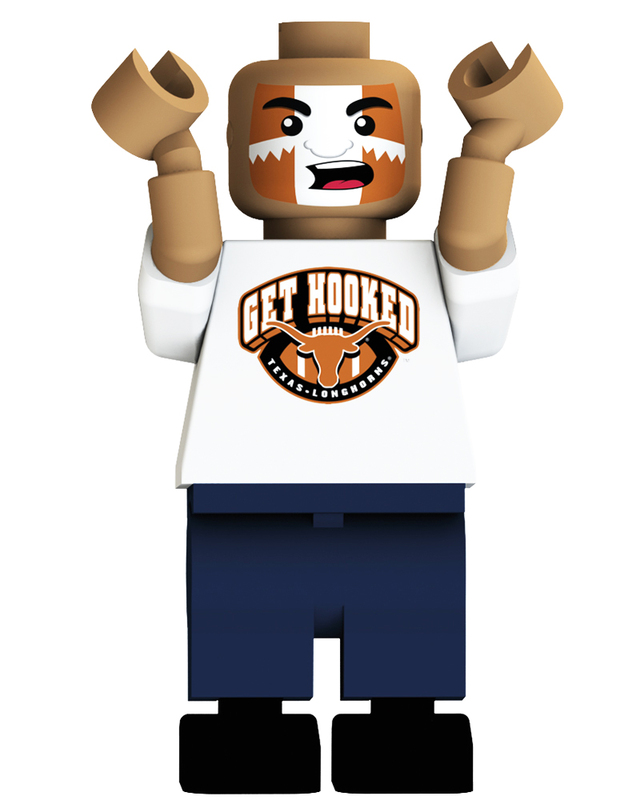 It was perfect for the display I made for a Texas Longhorn's fan. 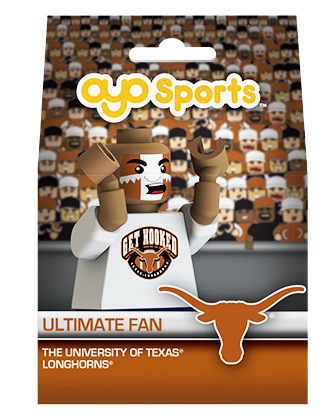 The perfect gift for the fan that has everything!